This month marks the 10th anniversary of the UN Declaration on the Rights of Indigenous Peoples (UNDRIP), which was adopted at the UN General Assembly on September 13, 2007—143 countries in support, four against and 12 abstaining. The declaration recognises and affirms the collective and individual human rights of first nations as peoples and human beings, thereby proclaiming their equality with all other members of society. Indigenous peoples matter. Numbering between 350 to 500 million in up to 90 countries, they are the descendants of the first arrivals or earliest surviving occupants of a land. Comprising 5,000 distinct cultural groups speaking 4,000 of the world’s 7,000 languages, they encompass 90 per cent of the world’s cultural diversity. Living on 22 per cent of the earth’s land mass, their territories harbour 80 per cent of its remaining biodiversity. Their cultures are deeply embedded within the environment and, once belittled, are now increasingly regarded as integral to the survival of the planet. Since the adoption of UNDRIP, there has been slow but steady progress made on indigenous rights around the world. Recognition is the first step toward implementation and many more countries now recognise the declaration. 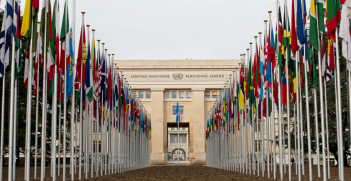 In 2009, state recognition increased significantly when 182 states at the Durban World Conference on Racism endorsed the declaration; several of the countries that originally abstained, such as Colombia and Samoa, now support the declaration; and having overcome the self-inflicted trauma of their previous hesitation, the governments of the four countries who opposed it—the United States, Canada, Australia and New Zealand—also now support the declaration. But while recognition is a first important step, implementation has been slow (as Open Canada reported earlier this year, such is the case in Canada). In addition to UNDRIP, indigenous rights are being recognised or enshrined in new laws, international frameworks and constitutional arrangements. Guided by the principle that “no one is left behind,” indigenous peoples are a priority under the UN’s 2030 Agenda for Sustainable Development. Pope Francis’ 2015 encyclical on meaningful climate action declared that when indigenous land rights are protected those communities are the best guardians of the world’s forests and biodiversity. From the Waitangi Tribunal and courts in New Zealand, where the declaration reinforces the Treaty of Waitangi, to the Inter-American Court of Human Rights and African Commission on Human and People’s Rights, the international judiciary is also increasingly citing the declaration and supporting the protection of indigenous rights. UNDRIP is also being increasingly incorporated into domestic law. South America has been an important leader, in particular Bolivia under the leadership of President Evo Morales. In Europe, Denmark has granted greater self-government to Greenland, where the majority of the population is Inuit. In Africa, the Republic of the Congo, the Central African Republic, Kenya, Namibia and Burundi have taken steps to recognise indigenous peoples. Despite progress made in the last 10 years, indigenous peoples remain the most vulnerable of the world’s peoples. One indigenous language is lost every two weeks. Wherever they live, indigenous communities are the poorest of the poor. At six per cent of the world’s population, they make up 15 per cent of the world’s poorest peoples. Indigenous women and children continue to endure significant violence. Indigenous peoples continue to face significant racism. In developed countries there is a “new colourism,” with Western-dominated government, education and social institutions preferring indigenes that are compliant, middle class, and who have fair skin and European features. Concern is also rising that some indigenous elites are leaving the people behind. In New Zealand, for example, Maori have over NZD$50 billion (AUD$49 billion) in tribal and private capital, however, the rate of incarceration reached record levels in 2016, and there are real concerns about Maori homelessness and the number of Maori children living in poverty. Many countries, particularly those with large indigenous populations, including China, Indonesia, India, Bangladesh and Russia, which recently stalled efforts to increase indigenous representation at the UN, place strict limitations on the recognition and rights of indigenous populations. From the Arctic to the Amazon and from West Papua to Africa, a majority of new extractive industry projects, including mining, drilling, hydro-electric, forestry and agribusiness, are in indigenous areas but do not meet the standard of the declaration to obtain the “free prior and informed consent” of indigenous peoples before commencing. Compromises in the declaration on Article 3 (the right to self-determination)—essentially meaning that indigenous peoples cannot form new states—reinforces uncertainty and dislocation for Indigenous peoples straddling the borders of nation states. Many are losing their lands and losing their lives, including the Karen (Thailand and Myanmar), Guarani (the Amazon) and the Kurds, the largest nationality in the world without a country, divided between Iran, Iraq, Syria and Turkey. There is a worldwide crisis in indigenous suicide. This year the UNICEF Building the Future report identified New Zealand—from where I write—as having the highest adolescent suicide rate, at 15.6 per 100,000. Embedded with that figure is a more serious Maori youth suicide rate, often double or greater than that for non-Maori, which in conjunction with their higher proportion of the overall national demographic (35 per cent of Maori are under 15 years old; 27 per cent between 15 and 40) elevates the national figure. In other countries, such as Canada, Australia, and the United States, and among the Nenets of Russia, Guarani of Brazil and the Sami of Scandinavia, the indigenous suicide rates are equal to or higher than that of the Maori, but do not lift the national average in the same way because the Indigenous demographic is a significantly smaller proportion of the national population. Mainstream approaches to suicide focus on mental health, bad parenting, drug addiction, crime and poverty. These approaches have their place; however, many are also driven by underlying assumptions about the inferiority of indigenous cultures. In the case of Maori, historical research shows that pre-European Maori were good parents. Before 1900, when their language was intact, Maori were just three per cent of prisoners—today they are over 50 per cent. Before the mass urbanisation of the 1950s, every Maori knew their marae (community’s homelands/meeting grounds) and subtribe, and suicide was half that of Europeans. A Canadian study has shown that where 50 per cent or more of an Indigenous community speaks their own language, suicide is six times lower or zero. Cultural alienation as anomie is a causal factor but so too is structural racism and discrimination. Indigenous youth are compressed between a past they do not understand, a present that does not understand them and, for many, a future without hope. Indigenous peoples have shown great determination and huge resilience in the face of significant difficulty. UNDRIP is not perfect. A lack of action by governments and prejudice from majority populations are the main impediments to progress. Nevertheless, the journey has begun, and for those who survive the next generation there is a future. Rawiri Taonui is a professor of indigenous studies at Massey University, New Zealand. This article was first published by Open Canada on 13 September 2017. It is republished with permission. 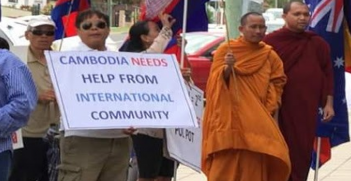 The Cambodian regime’s celebration of the 40th anniversary of the collapse of the Khmer Rouge as “Victory Day” on 7 January is contemptible and must be condemned. With North Korea issuing threats, Trump questioning the Iran deal and the signing of a nuclear ban treaty, nuclear themes have dominated 2017. What will come next? 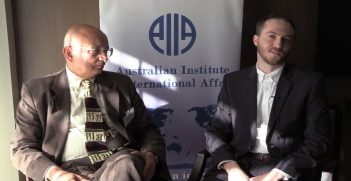 This episode of AIIA VIC's Dyason House Podcast features Associate Professor Ian Howie with over 30 years of experience working in the UN.